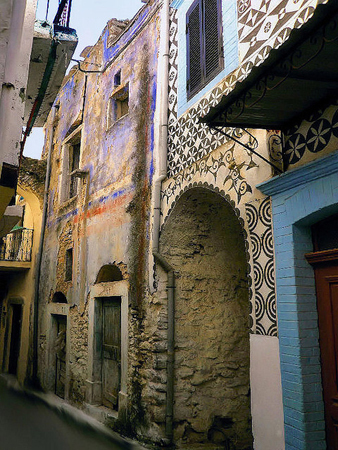 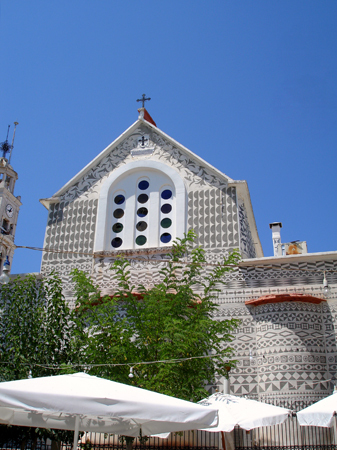 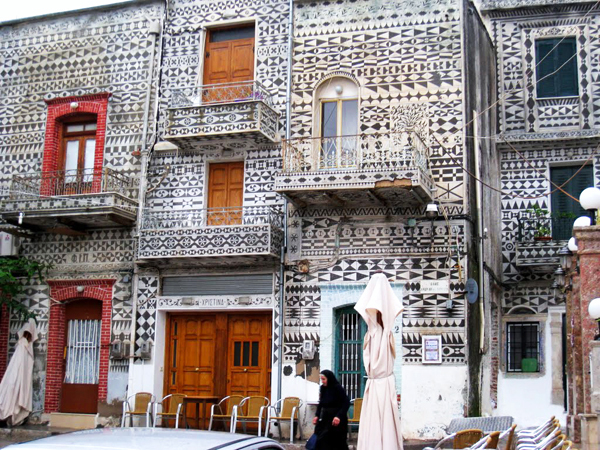 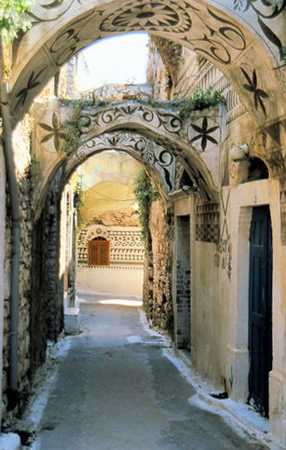 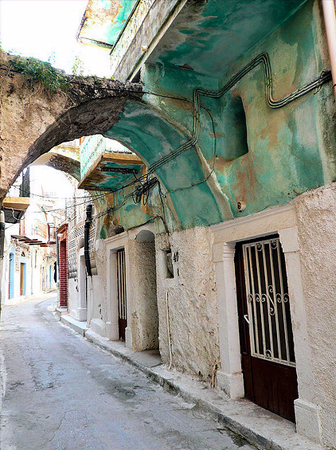 If you drive 25km south of Chios, you will face an architectural ornament, a medieval village of unrivalled beauty, Pyrgi. 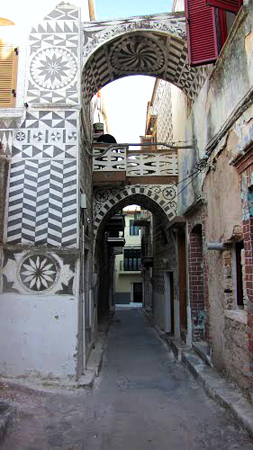 This fortress of angular and quarter structure bespeaks the need of the inhabitants to protect their property from pirate raids until the Ottoman Empire. 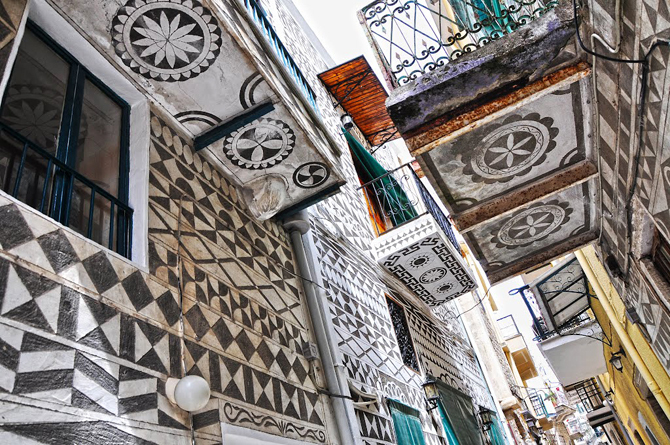 The serried-stone houses built next to each other, the arcades and the cobblestone pavements of the village, the narrow streets, the churches and the tumbledown defensive tower of Genoese architecture are the specifics that attract the traveler. 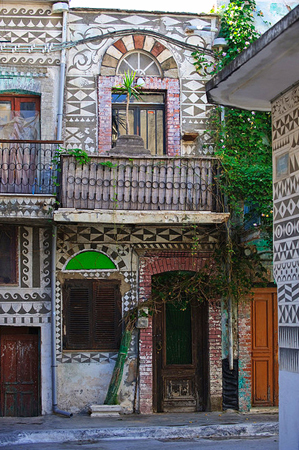 It has been designated as a listed monument, since it survived an earthquake in 1881 and has been preserved almost as it was built. 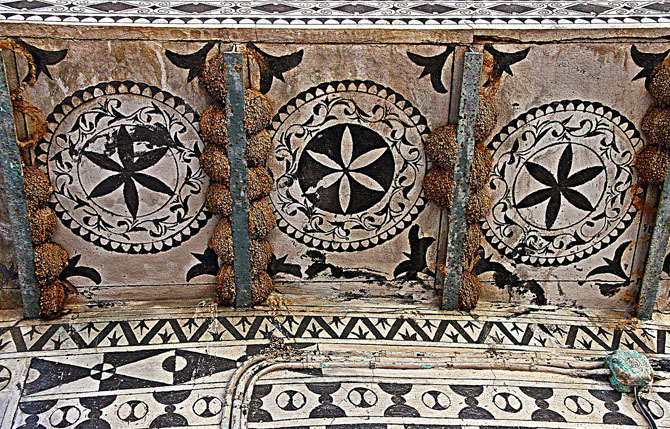 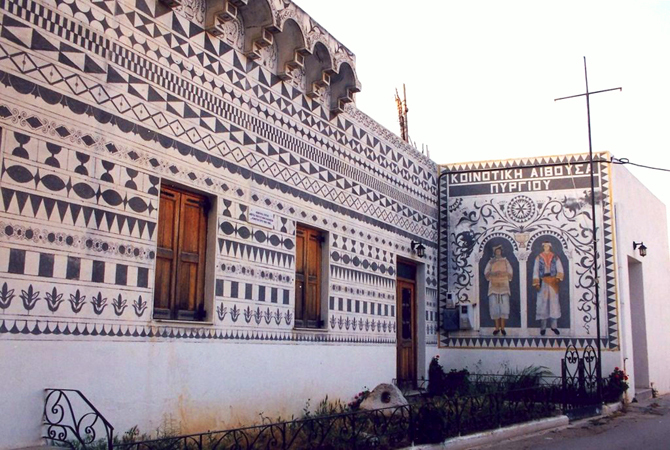 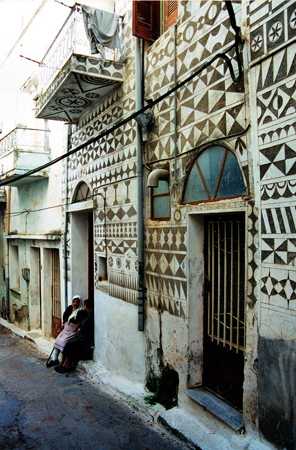 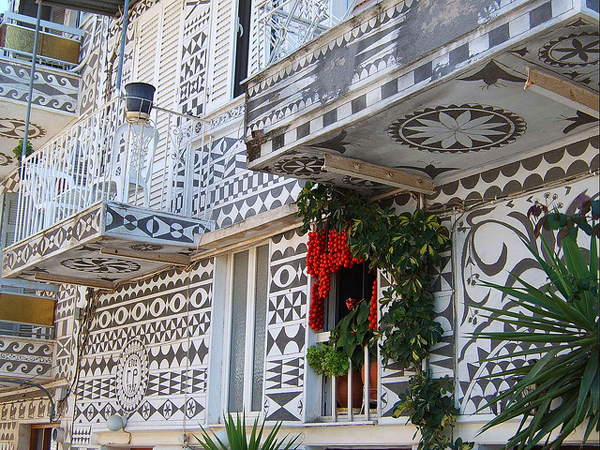 The "xysta" (Chian engraving style on the surface of fresh plaster, which prevailed during 1965) decor the outer walls with various geometrical motifs. 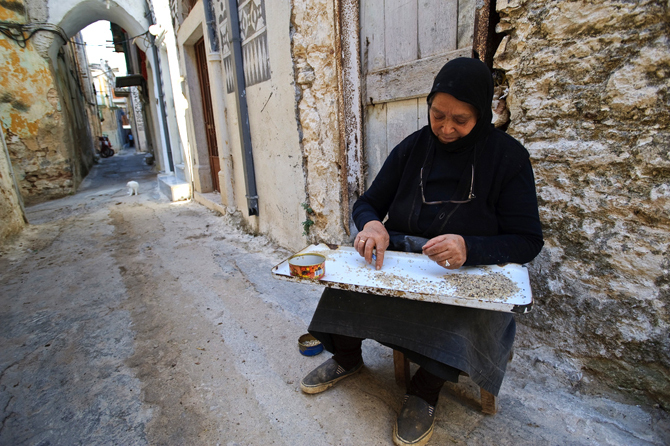 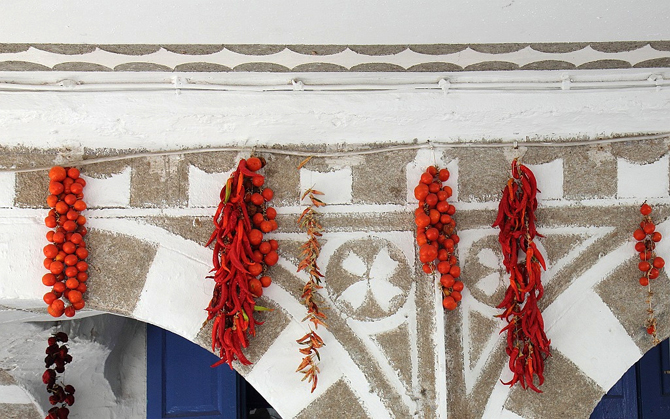 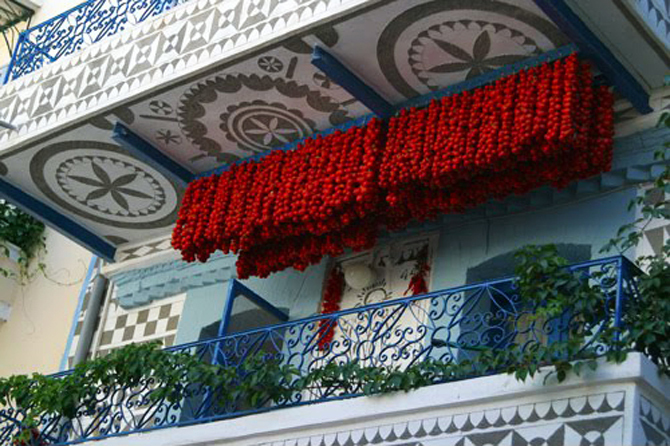 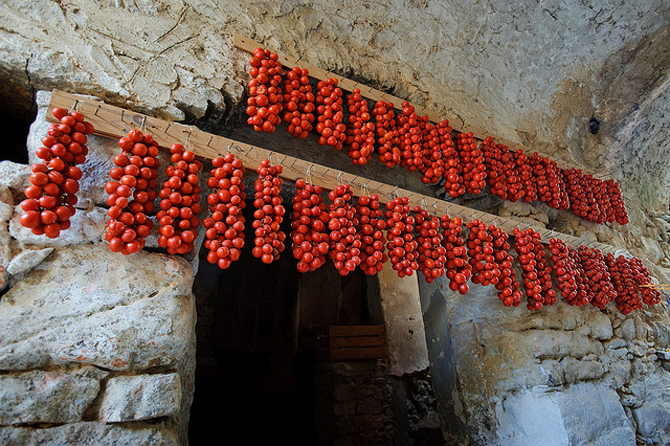 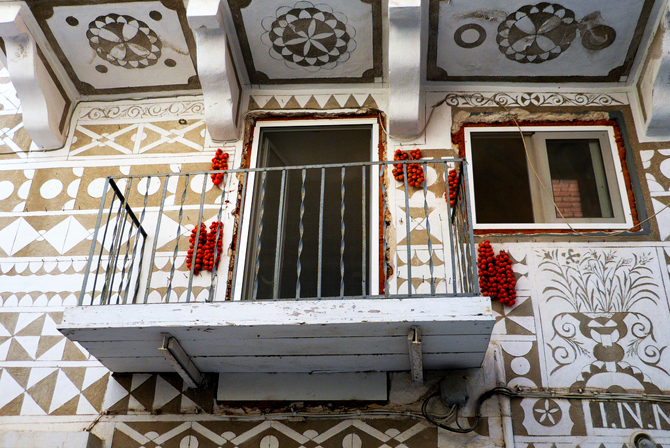 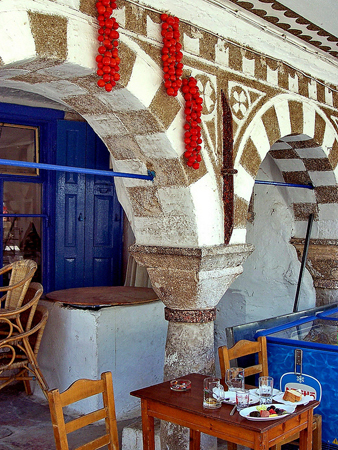 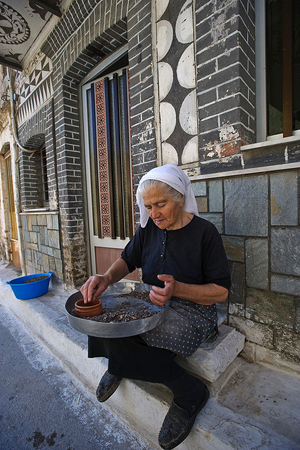 The small dried cherry tomatoes, hanging from the balconies of the double-decked buildings, draw the visitor's attention during his perambulation in the village. 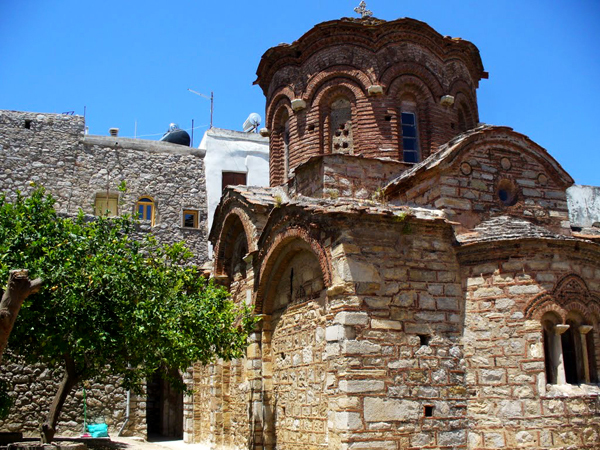 The Dormition of Virgin Mary (Koimisi tis Theotokou), the temple of Agii Apostoli (Saint Apostoles, an outstanding Byzantine building of the 13th century) and the residence of Christopher Columbus, who lived in Chios for a while, are monumental buildings. 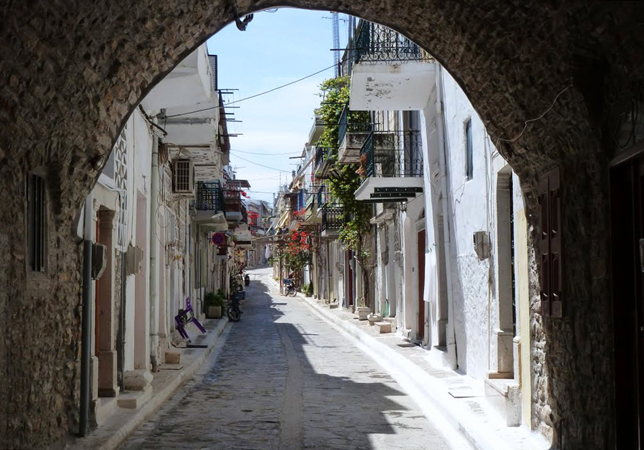 Within 6km, you will reach Kato Fana, where the remnants of the Temple of Faneos Apollon are located. 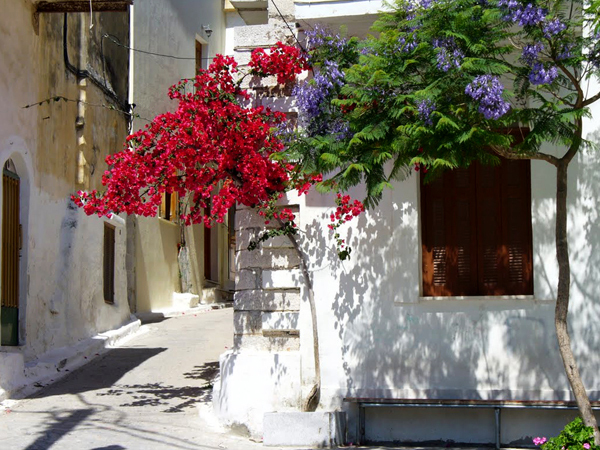 In the coastal area of the village, Emporios, are the remains of a temple dedicated to Athena and, within close distance, are Mavra Volia and Foki beaches. 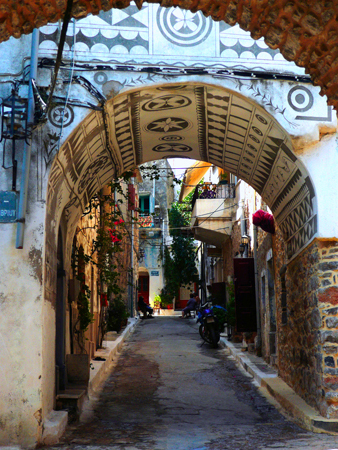 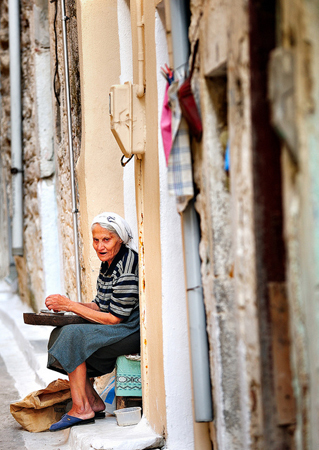 4 days in Chios, the mastic island!